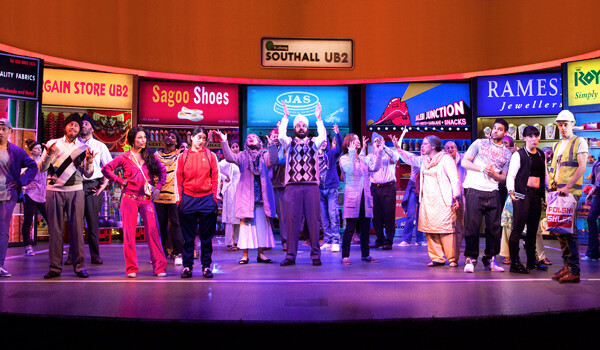 Gurinder Chadha’s adaptation of her own 2002 movie Bend It Like Beckham misses the goalposts more than it hits the back of the net. 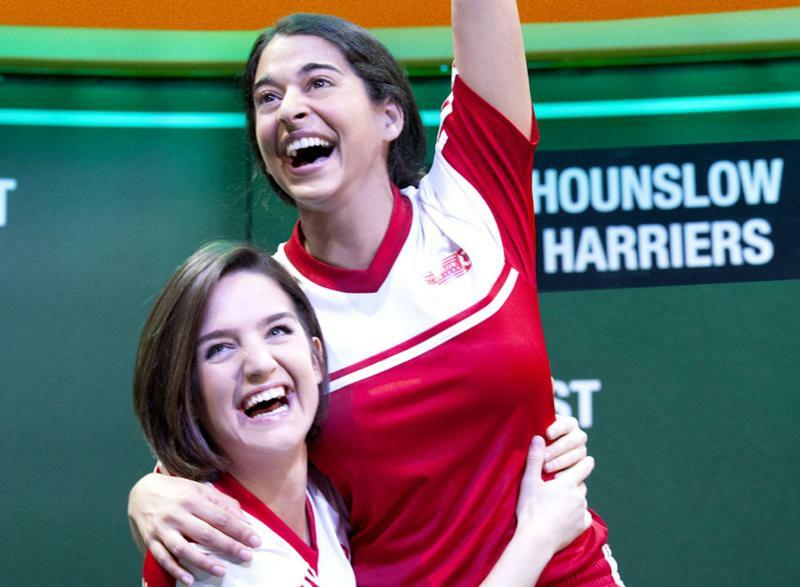 Jess Bhamra (Natalie Dew) is an 18 year old football fanatic from Southall, the daughter of strict Punjabi Sikh parents and forbidden from playing the beautiful game. Her skills come to the attention of Jules (Lauren Samuels), who persuades her to try out for semi-pro team the Hounslow Harriers. 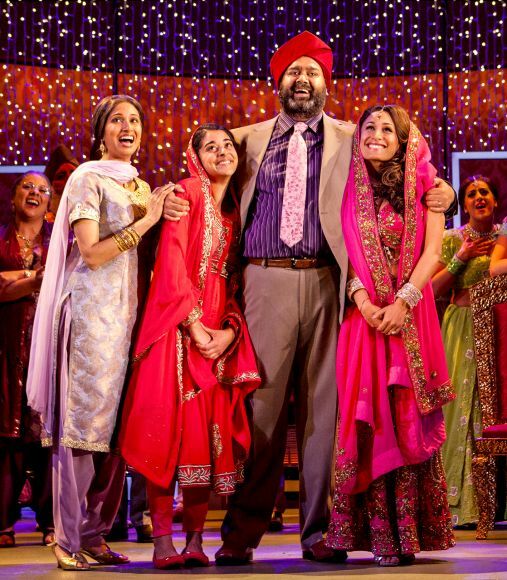 Cue deception, love, heartbreak and acceptance all dished up to a Bhangra beat. 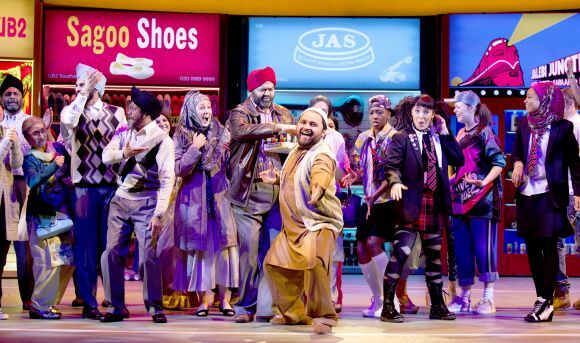 Running at nearly three hours, there is too much padding and not enough drive in this musical re-working of Gurinder Chadha and husband Paul Mayeda Berges’ movie. It gets off to a woefully slow start and its lacklustre score and hugely stereotypical characterisations do nothing to elevate it above being a reasonably pleasant way to kill three hours. Howard Goodall’s Indian-infused score is repetitive and lacks the requisite number of big tunes a new musical needs, save the soaring and anthemic ‘Glorious’, there is little that sticks in the memory other than the hugely annoying ‘Girl Perfect’ which lodges in the brain for all the wrong reasons and, like many of the other songs, is repeated incessantly throughout. Charles Hart’s lyrics do little to help, being simplistic rather than sophisticated. One song that does linger in the memory though, is the haunting ‘Heer’, a 500 year old traditional Indian love song. Natalie Dew is a suitably wide-eyed and innocent heroine and is ably supported by Lauren Samuels as fellow tomboy Jules and the rest of the cast are amiable enough, and of fine voice (especially Preeya Kalidas as Barbie doll sister Pinky and Tony Jayawardena as Mr. Bhamra) however, at times too much mugging goes on: the blame for this though can be laid squarely at the fact that the characters are two-dimensional and much too thinly written. Twilight and Harry Potter actor Jamie Campbell Bower as coach Joe, though competent, barely registers after the event. Miriam Buether’s two tier, semi-circular, rotating set is rather simplistic and on the cheap looking side, but it is eye-poppingly bright and cheerful. The costumes by Katrina Lindsay didn’t need much work being either football kit, traditional sari or early 2000’s lycra and bling. The whole endeavour is pleasant enough but nothing more, it is bright, brash, not exactly brain taxing and runs far too long into extra time, and I wonder how much life it will have ultimately.